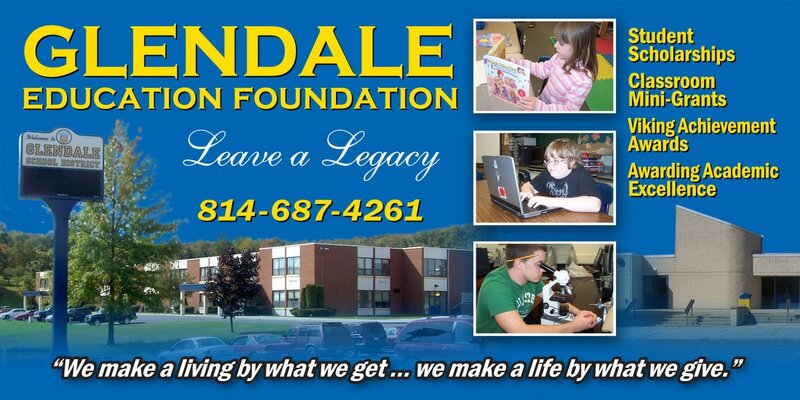 Your contribution begins to benefit the school district through our worthy Allocation Programs. Your scholarship gift can be written to honor or memorialize a favorite former teacher or coach...and/or...restricted to a certain level of achievement in an academic, athletic or curricular discipline. A permanent 'savings plan' that spends only (some of) the interest earned by the account every year. The donation of real property, stocks, bonds, trusts, life insurance, and bequests to the Foundation help build our endowment for the future. As a beneficiary of estate gifts, this helps secure programs for future generations. The majority of The Staff of Glendale School District generously contributes over $4,500 per year through payroll deductions. This includes 98.5% of the teaching faculty, 100% of the administration, 100% of the clerical staff, 93% of the cafeteria staff, 90% of the learning support aides, etc. We are striving for every staff member to "give back" to the students of Glendale School District---for students are the reason we have a school! The Foundation is now in the 14th year of holding our Foundation Golf Tournament fundraiser, which last year earned a net total of $12,300 (after expenses)!. Thanks to the 96 golfers who, after paying golf tourney fees, enthusiastically purchase raffle tickets or playing on-course games, along with a record 108 "hole sponsors" (*including individuals, businesses or organizations)--every year we exponentially grow in profits! 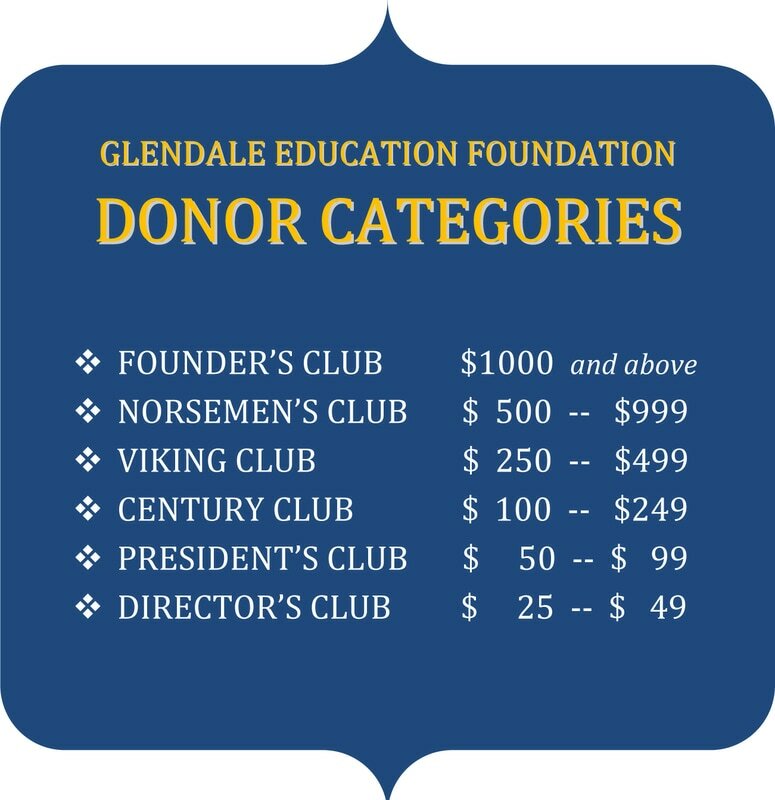 AmazonSmile is a simple and automatic way for you to support everyone’s favorite charitable organization--Glendale Education Foundation--every time you shop…..at no cost to you! To shop at AmazonSmile simply go to http://smile.amazon.com from the web browser on your computer or mobile device. Click on Search…and you’re good to go! You may also want to add a bookmark to AmazonSmile to make it even easier to start your shopping here every time! Click on the button (above) to print out a form to MAIL US a donation by check! Have a PayPal account and want to send a donation electronically to us? Click on the button (above)!